In a world where the old is replaced by the new at an almost unmeasurable pace, it’s refreshing to find something that has survived this obsession. 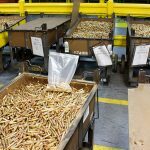 One such pillar of consistency is the Lake City Army Ammunition Plant (LCAAP) in Missouri. Founded in 1940, Lake City is the single largest producer of small-arms munitions used by the Department of Defense. Organizationally, the LCAAP is government owned, but contractor operated by Northrop Grumman Innovation Systems, formerly Orbital ATK. 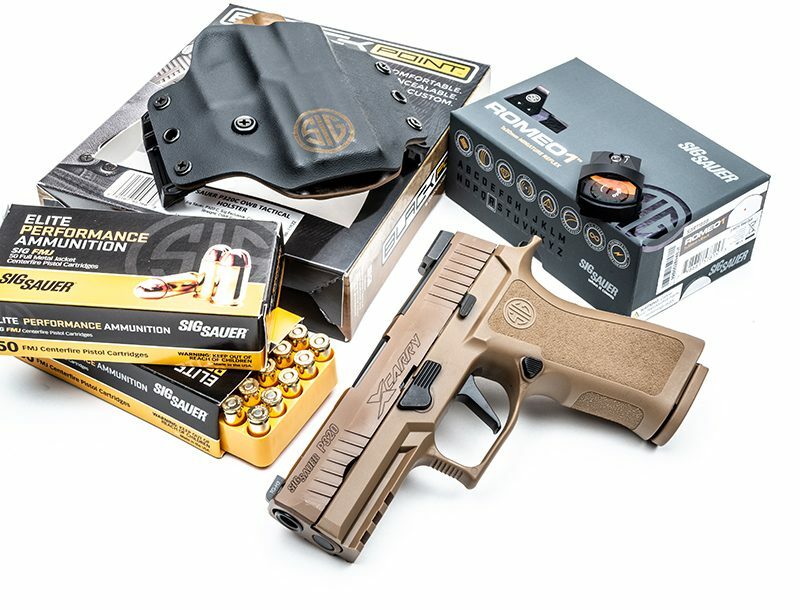 While the name “Lake City” is known in the shooting and reloading realms, there is a great deal more to the facility than most people know. Earlier this year, one other writer and I were honored to be the first journalists ever to tour the facility. With this distinction, however, came security measures that make a visit to the Pentagon seem like a trip to a Quickie Mart. 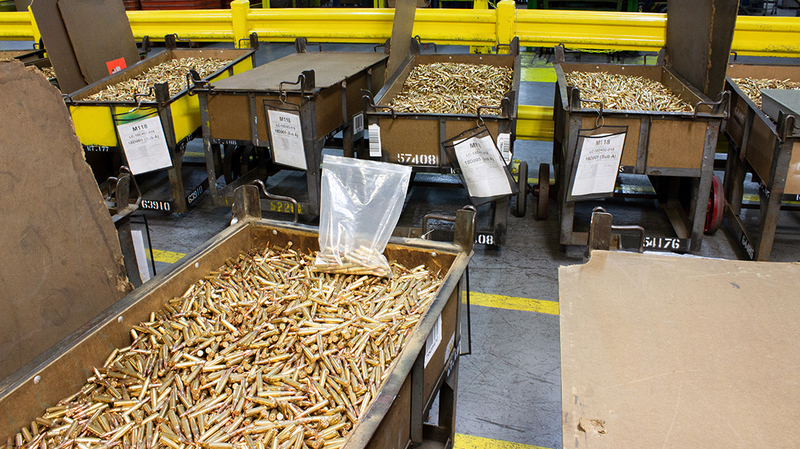 Ammunition production is serious business, and the staff at Lake City are equally as serious. Once we made our way through the security checkpoint and ID card process, we were met by Communications Director Whitney Watson. I have been fortunate to work with Whitney in the past, and his hard work to make this visit happen is greatly appreciated. Whitney would be a mix of tour guide and handler during our visit simply because much of what we saw, for all intents and purposes, was not for public knowledge. Also, Whitney has a passion for the LCAAP, and eagerly shared its incredible story. Before he was president, then-Senator Harry S. Truman was personally involved in securing the land and funding for the LCAAP. 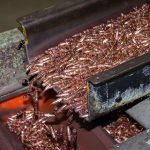 In December of 1940, they broke ground on what would be the first of 12 small-caliber ammunition plants to be constructed across the U.S. in support of World War II. The first round rolled off the assembly line in September of 1941. This kind of speed still astounds me today. In a time where it takes the government a year to fix a pothole, it seems incredible to me that Lake City was able to get up and running so quickly. As a former resident of the Midwest, I’d also like to remind people that a chunk of this work was done during the dead of winter. And by October of 1941, the first rail car left Lake City full of new ammunition. During WWII, Lake City employed 21,000 people and produced an incredible 50 million rounds. During the Korean War, the LCAAP had greatly improved its production capabilities and capacity and pushed out an unbelievable 1.1 billion rounds in just 15 months. By the time of the Vietnam War, it had produced over 14 billion rounds of ammunition. Like me, I’m sure you are trying to picture that in your head. The name Lake City came to be because the plant was a completely self-sustaining facility. On the 4,000 acres on which it sits, there are 22 miles of roads, 11 miles of railroads, military housing, 24-hour federal law enforcement, a hospital, nine medical locations, a cafeteria, a post office, a fire station complete with a bunkhouse, a gym facility, a road maintenance service, a water production plant and three wastewater treatment facilities, as well as both indoor and outdoor testing ranges. It is set in the low rolling and wooded hills of Missouri. Passing traffic would never guess the magnitude of what goes on there. 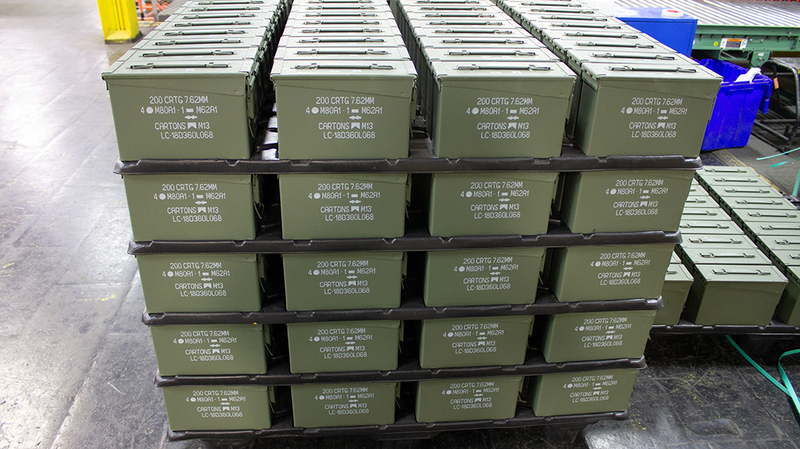 The LCAAP focuses on small-arms munitions, including 5.56mm, 7.62mm, .50-caliber and 20mm rounds. The majority of the components are made on site. 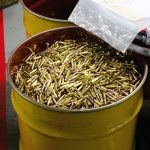 And Lake City brass is famous in the reloading world. I was fortunate to be able to watch as staff members took a small brass “cup” and quickly turned it into a case. 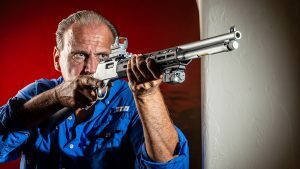 Yet, while the LCAAP makes almost all of the ammunition for the U.S. military, it also makes ammo or brass for various other companies, such as Federal, Fiocchi, Hornady and Winchester. In fact, about 60 percent of its production is commercially centered right now. 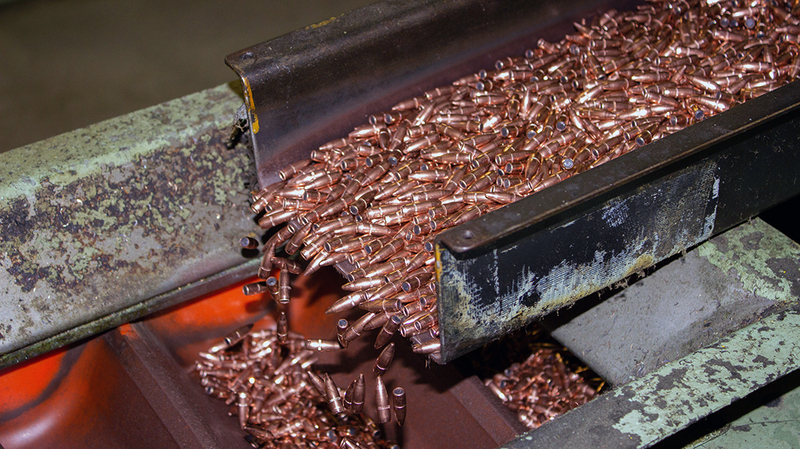 The LCAAP manufactures with a mix of modern, cutting-edge equipment side by side with legacy equipment that was in place when the facility began producing ammo in 1941. Certain controllers have been modernized, but the main body and operation of the equipment are just as they were in 1941. It was incredible to see and realize that many of the machines I saw were producing ammo back in WWII. In 1975, modernization arrived in the form of the small-caliber ammunition modernization program (SCAMP). SCAMP is a high-speed, computer-controlled, fully automated production system to produce 5.56mm M193 ball ammunition, exponentially increasing the LCAAP’s production capabilities. 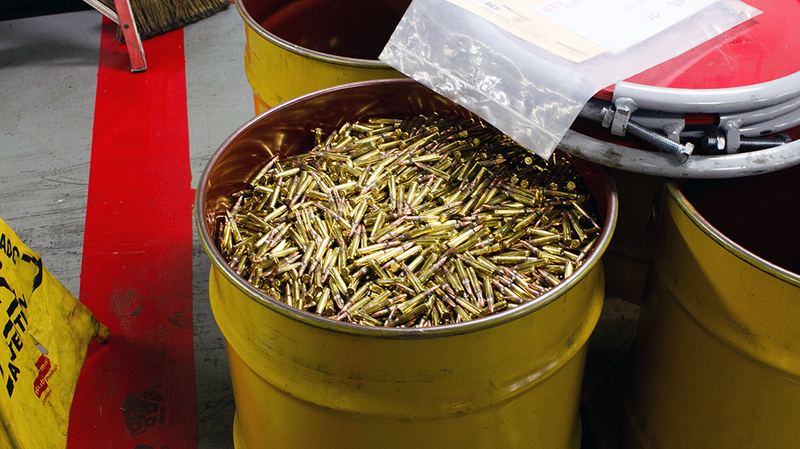 Nowadays, the LCAAP produces around 4 million rounds per day, averaging 1.5 billion rounds a year. Modernization also allows them to track rounds. The headstamps on the cases allow the LCAAP to tell which machine created which specific round. And did I mention that the facility makes its own links for belt-fed weapons as well? The LCAAP punches out about 300 million per year. In the end, production-wise, I should mention that there are currently six specific case lines in the world, and five of them are made at the LCAAP. The other is located in Israel. At many points, the tour turned into me staring at huge crates full of freshly loaded ammunition. I was also humbled to see that, with an eye toward preparedness, the LCAAP maintains some older equipment that can be up and running in less than a week. They can also shift off civilian production to military production should the need arise. The building I was most excited to see was the ballistics testing lab. This is much more than a range. In fact, it’s one of only two NATO ballistic labs in the world. Additionally, this building is a collection of long, tunnel-like bays, each housing its own testing equipment. At the armory, I was like a kid in a candy store. As I walked in, several items caught my eye, including an M14 and a well-worn M1A Garand. The M14 is still used in testing today for 7.62mm NATO rounds. The M1 Garand is the test body for something a little more somber. 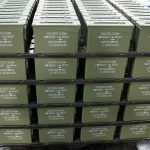 Lake City produces the blank ammo used by military honor guards for funeral details. Yet, they take these rounds as seriously as they do live rounds. The shooting bays have benched sleds for the guns as well as high-speed cameras. These allow the technicians to determine if any failure was due to the round or the weapon. The arms room is staffed by experienced gunsmiths who shared with me the stories of how many barrels and parts they go through each year. 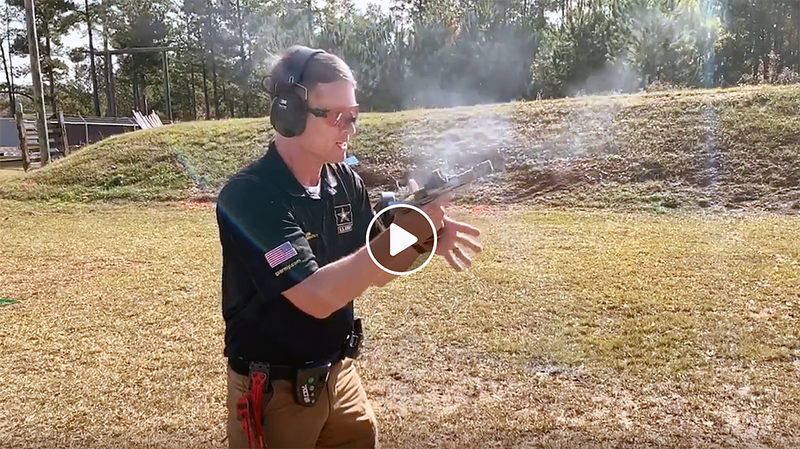 While all of these guns, from the M2 to the M4, are designed to last, the ballistics lab tests go far beyond what any member of the military could ever do. The LCAAP’s employees are unique. They are dedicated and have a seriousness about them that reflects the gravity of their responsibility. They know that the ammo they produce will be in the hands of a member of our military—someone’s son, daughter, father or mother. Their ammo needs to function every single time. And because of its age, the LCAAP is a multi-generational operation with sons, fathers and even grandfathers having worked at the plant. It has become a family tradition for some. Whitney Watson, who coined the LCAAP’s motto of “One Team, One Mission,” put it simply when he said that Lake City is a modern manufacturing facility with a long historic background. In fact, the LCAAP was one of the first facilities to be ISO certified. They also strive to be good stewards of the land, and have won awards because of their focus on protecting the environment. Lake City also shares a commitment to veterans. During my visit, they were hosting a veterans’ organization called the Foundation for Exceptional Warriors (FEW), which provides adventure-based opportunities so warriors who served together can heal together. FEW focuses on special operations forces, former prisoners of war, Purple Heart recipients and those recognized with awards for valor of every era. Further, their visit to Lake City was to take part in an annual turkey hunt for veterans. Additionally, the group was kind enough to let me tag along for an early morning hunt, and it was a fascinating opportunity. One of the hunters I was paired with had been a POW, but he also was part of a fascinating moment in history. This gentleman was a member of the crew of the USS Pueblo, which was attacked and captured by North Korean forces on January 23, 1968. The taking of the Pueblo, and the abuse and torture of the crew during the subsequent 11-month prisoner drama, became a major Cold War incident. Also, my hunting partner was kind enough to share more details on his time as a prisoner, and it became a testament to his courage and will to survive. It was an incredible way to end a fantastic event. 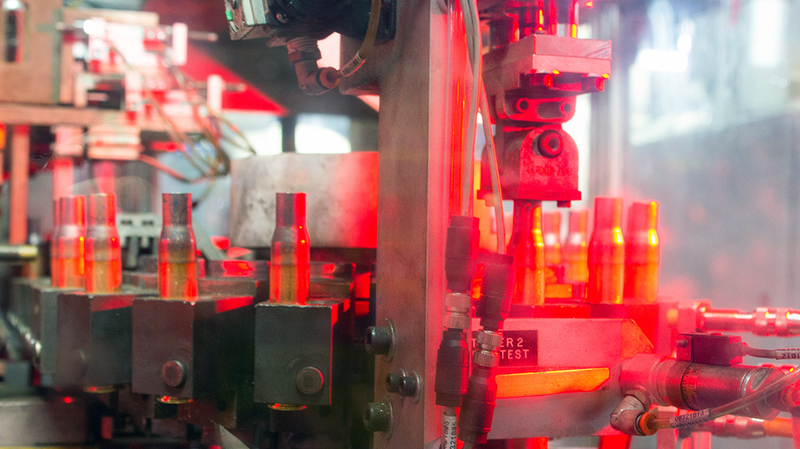 Lake City is more than just a maker of ammunition. Further, it is an American institution that has influenced some of the most profound events in modern U.S. history. 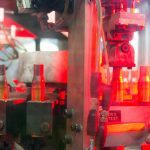 As I stood there watching the older machines pump out ammo, I came to realize that the facility had made ammo for my father. In his 30-plus-year Army career spanning WWII to Vietnam, he had definitely used Lake City ammunition. I am grateful to the people who dedicate themselves to incredibly high production standards today at the LCAAP. Also, I tip my hat to those who held the same standard when they were making ammunition for my father.